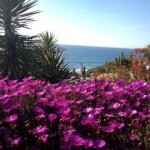 I have been on spa retreats, coaching retreats, silent mediation retreats and exotic spiritual retreats. When I worked 60 hours per week I loved going on the spiritual retreats. I found real benefit in turning inward instead of the constant outward focus. I came back from one retreat and a coworker told me I looked ten years younger! Within a week or two of returning I gained back the years and was back to my normal stressed out self. I love the idea of stay at home day retreats. During a project with a mandatory 12-hour long workday six days a week, I would give myself retreat Sundays. It was my one day a week to have a mini spa day and recharge at home. Or I would find some spiritual books and read something more inspirational than a Project Management Journal. Many retreats involve time in nature. One of my rustic retreats in Guatemala was not accessible by car. We took a boat and climbed a billion stairs to our mountainside lodgings. Since I ramped up my meditation, I have incorporated retreat time into a few of my last vacations. This year in Florida I stayed on a river with a lovely gazebo that I used for meditation. 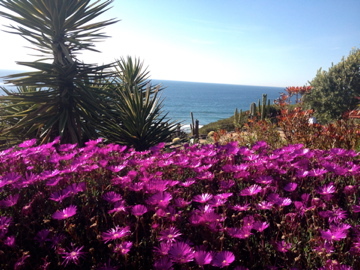 Last year in California I was lucky enough to be able to walk to the Encinitas Retreat and Ashram Center. It had a wonderful view of the ocean and calming fishpond. If you choose to go on a formal retreat find one that resonates with you. You can do a deep dive into an area of interest with writing, running, jewelry making, dancing or the booming yoga retreats. If the seminars are centered on self-discovery, I recommend you make sure you are allowed some time to process what you have uncovered about yourself. Also if there are practices that helped you, find a way to incorporate them into your daily life.